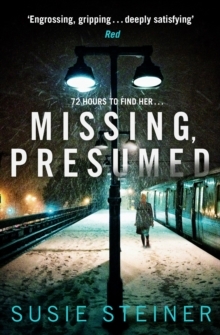 72 HOURS TO FIND HER…’Hits the sweet spot between literary and crime fiction – Gripping’ ERIN KELLY ‘For those who love their crime fiction rich in psychology, beautifully written and laced with dark humour. Dive in’ LUCIE WHITEHOUSE A MISSING GIRL Edith Hind is gone, leaving just her coat, a smear of blood and a half-open door. A DESPERATE FAMILY Each of her friends and relatives has a version of the truth. But none quite adds up. A DETECTIVE AT BREAKING POINT The press grows hungrier by the day. Can DS Manon Bradshaw fend them off, before a missing persons case becomes a murder investigation?